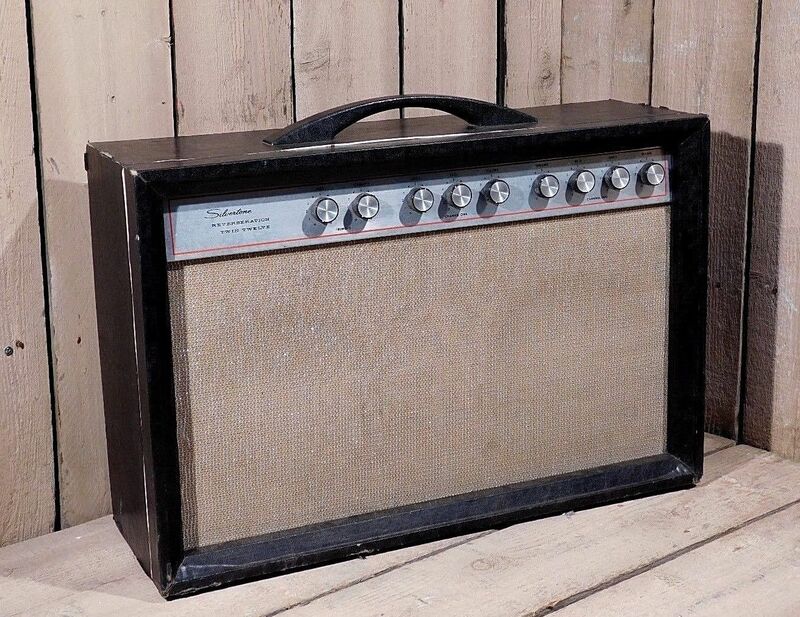 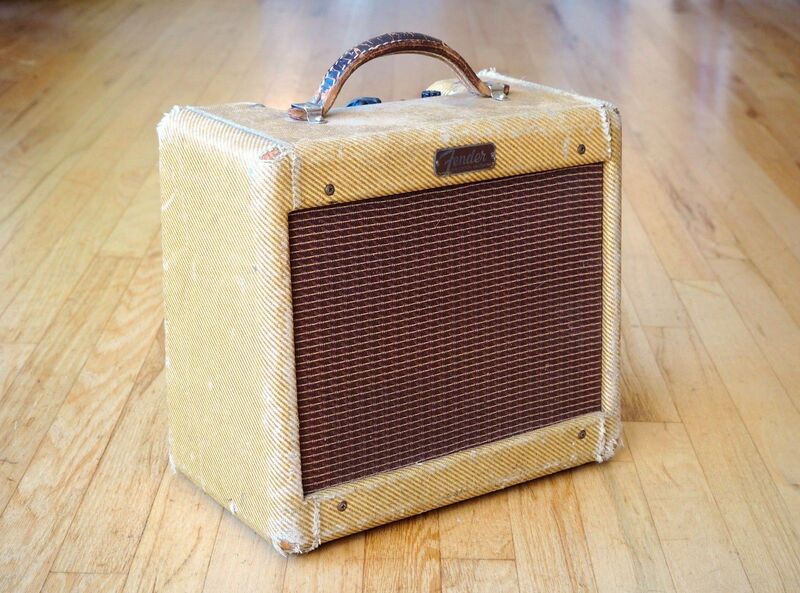 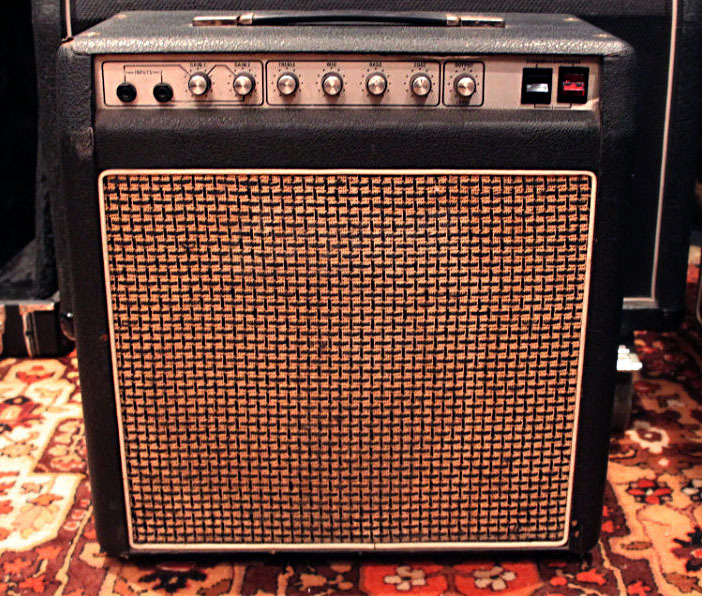 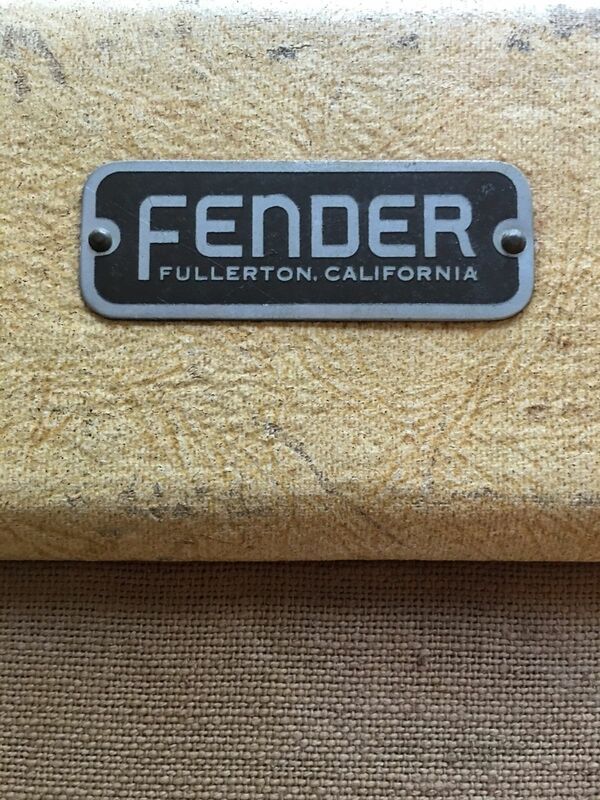 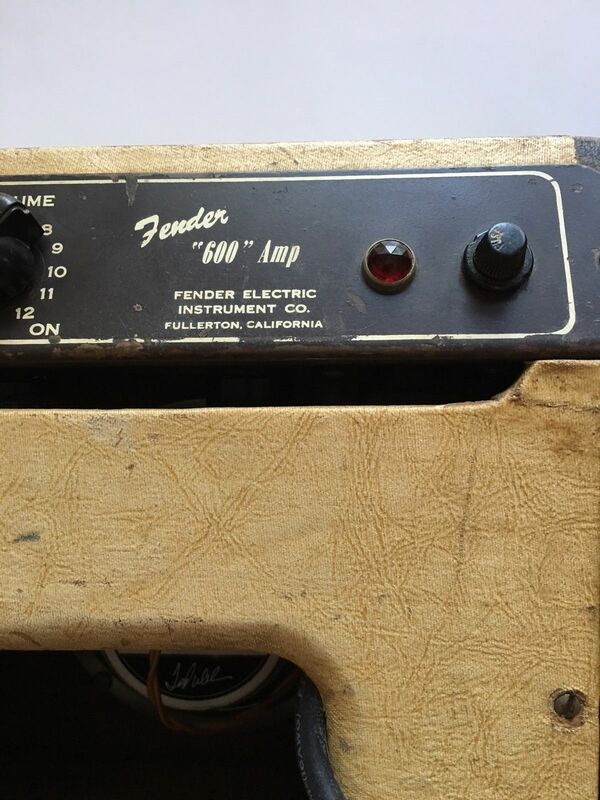 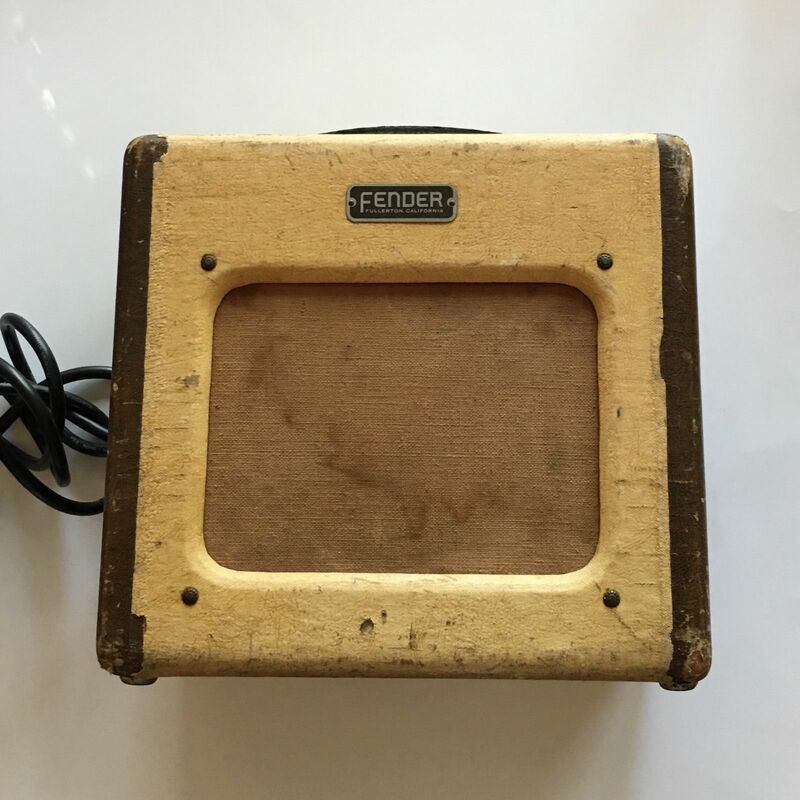 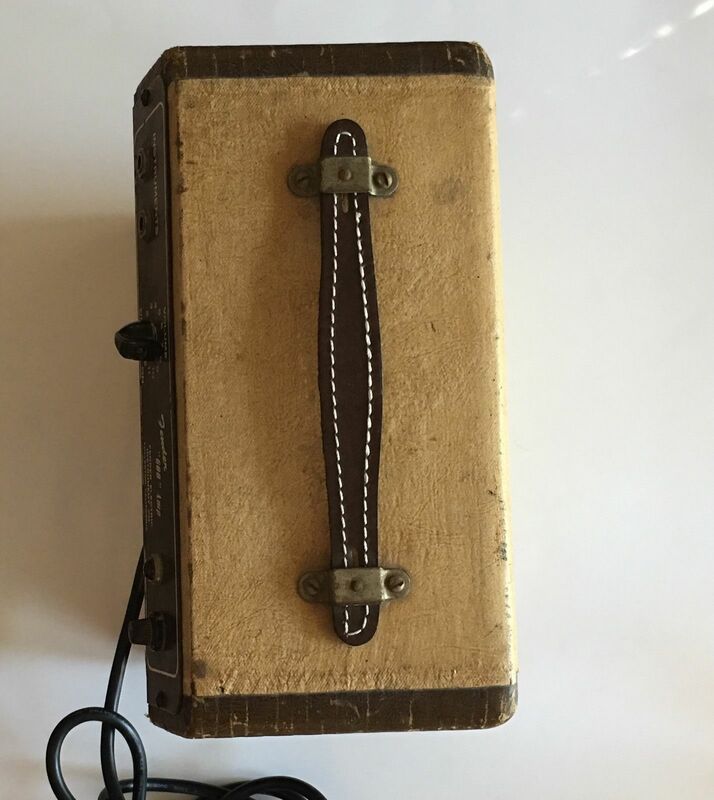 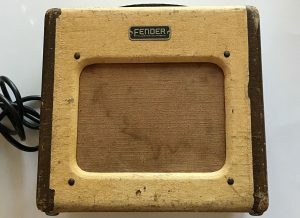 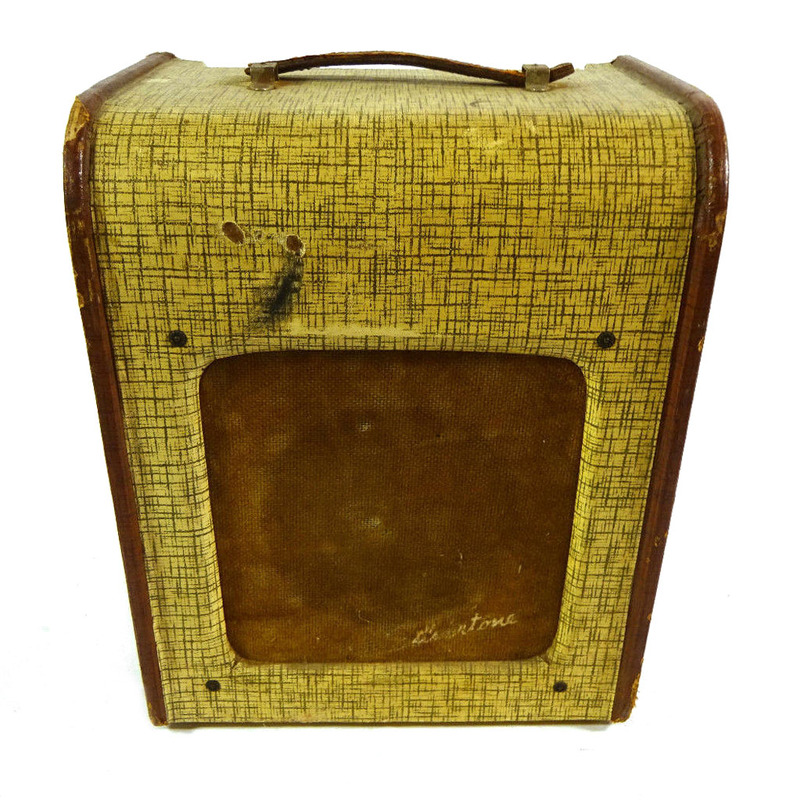 This 1950’s Fender Champion belonged to the late Kim Sherman, lead guitarist for the Frantics. 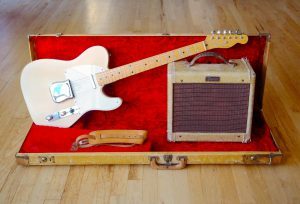 The Frantics were formed in 1965 and drew their influences from Jeff Beck, Jimmy Page, and, later, Jim Morrison. 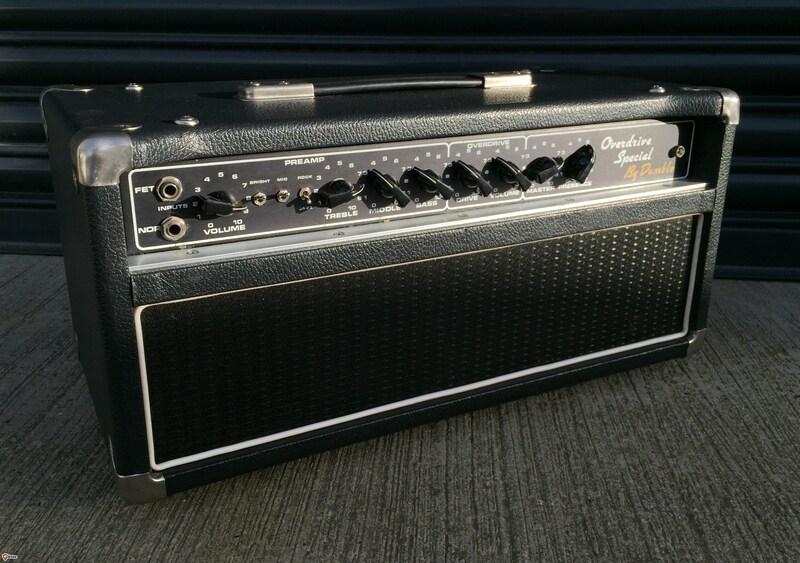 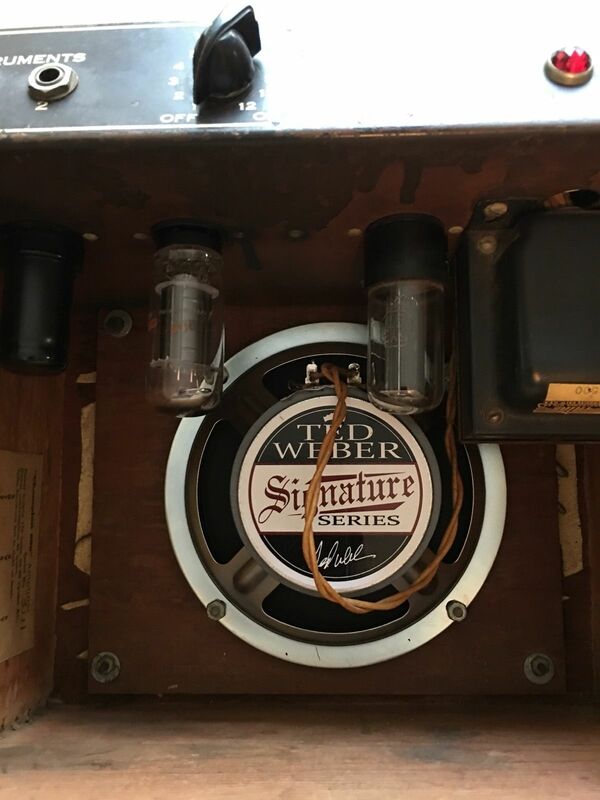 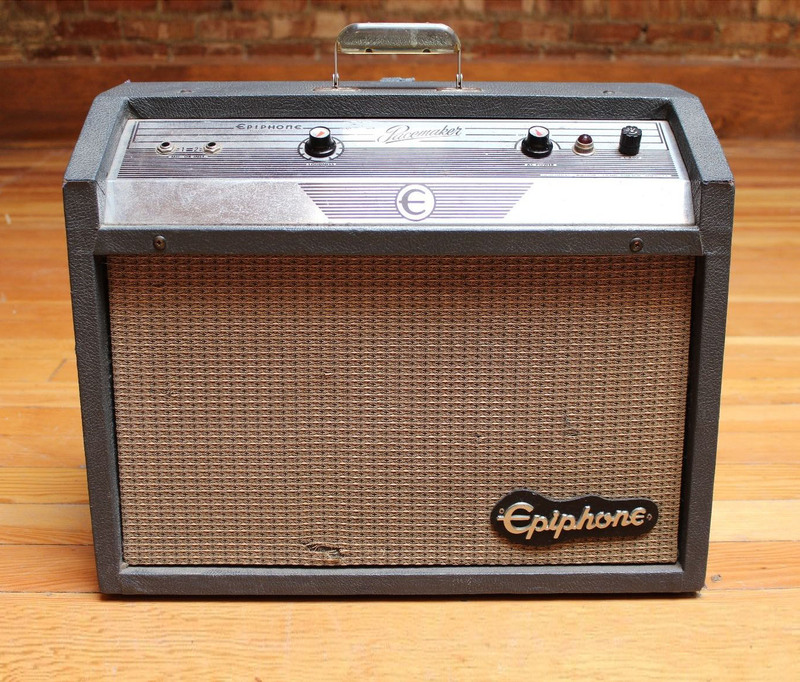 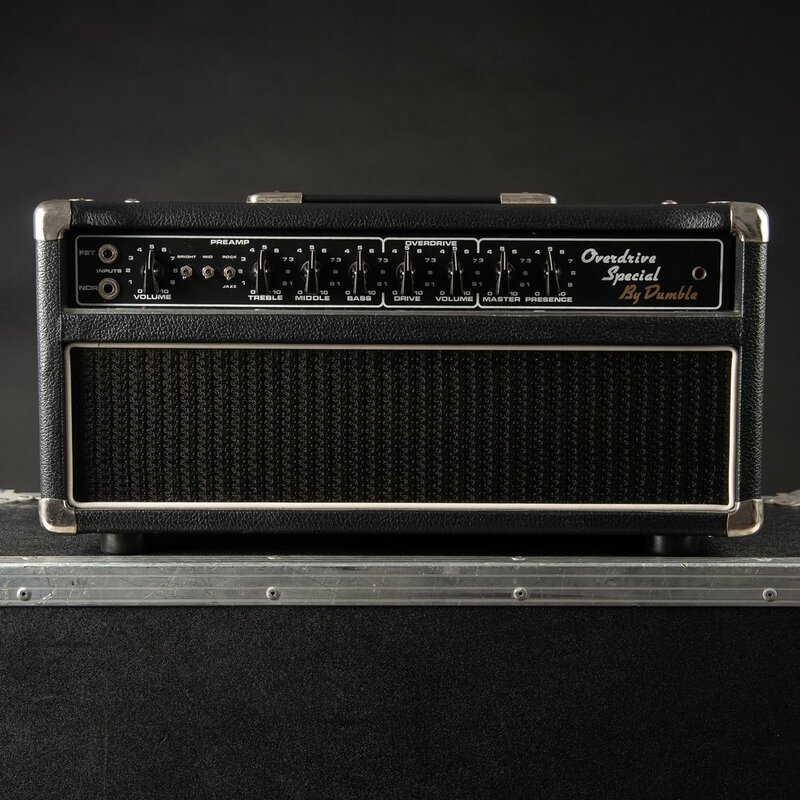 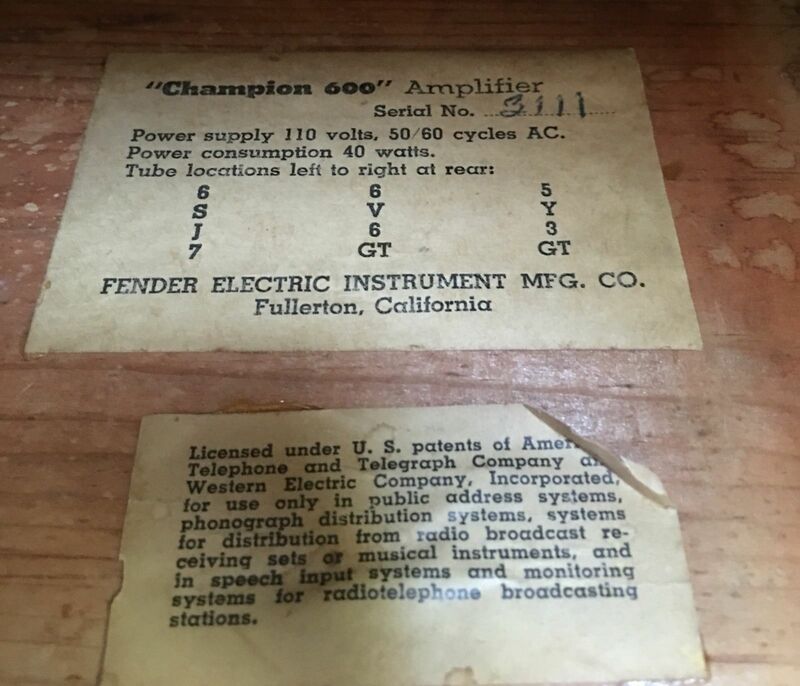 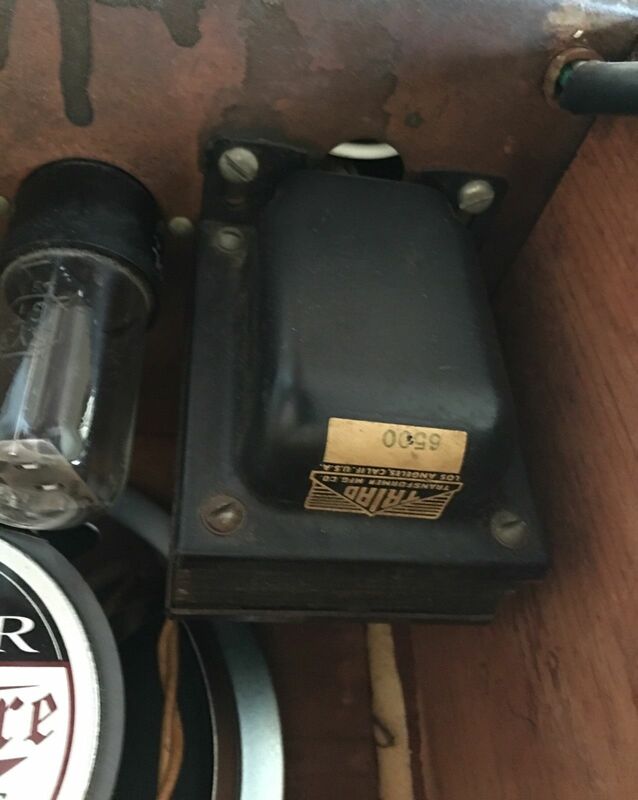 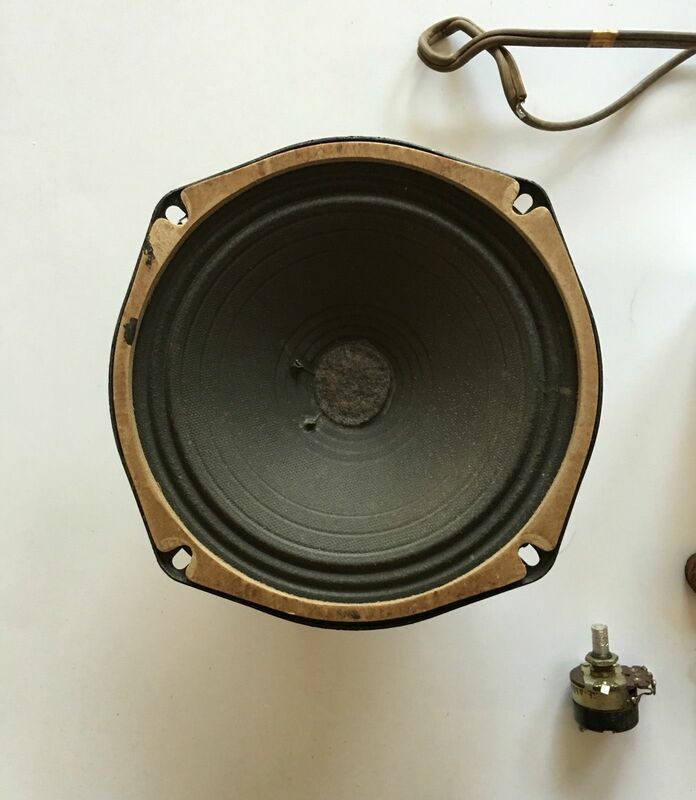 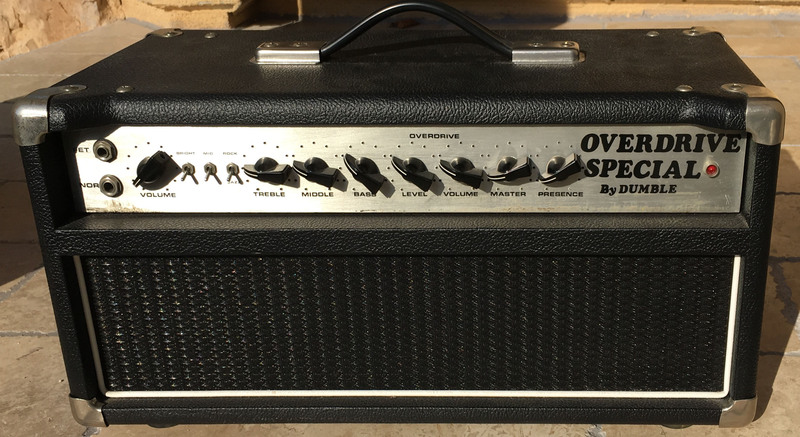 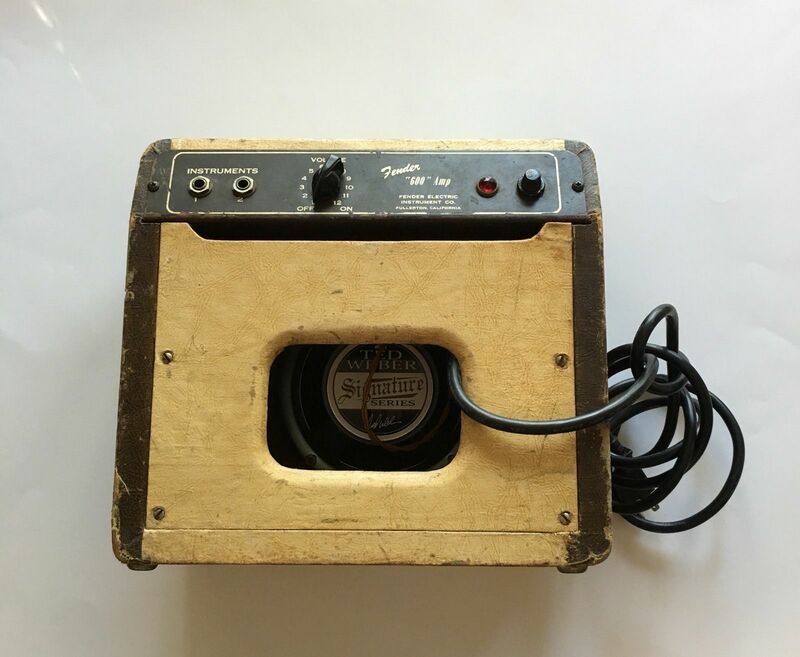 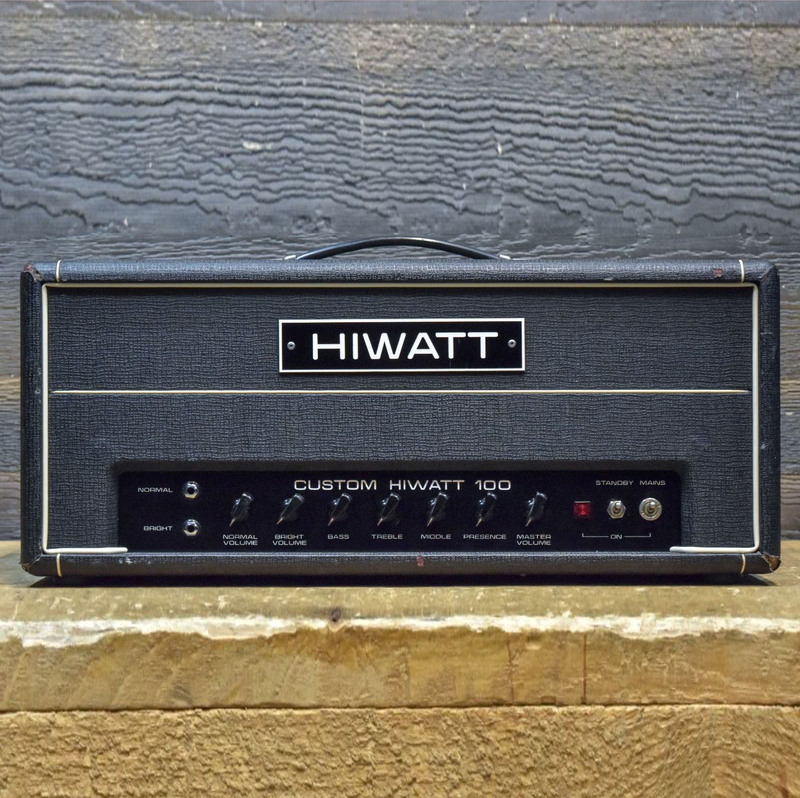 First introduced in 1948, the Champion sported the name Champion 800 (with 8″ speaker), changing a year later to Champion 600 (6″ speaker) with circuit designation 5B1. 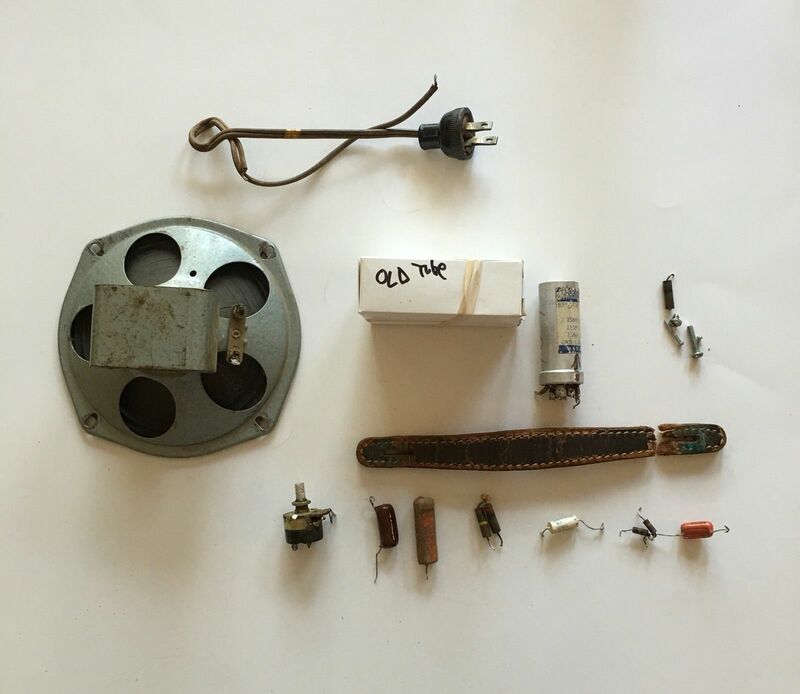 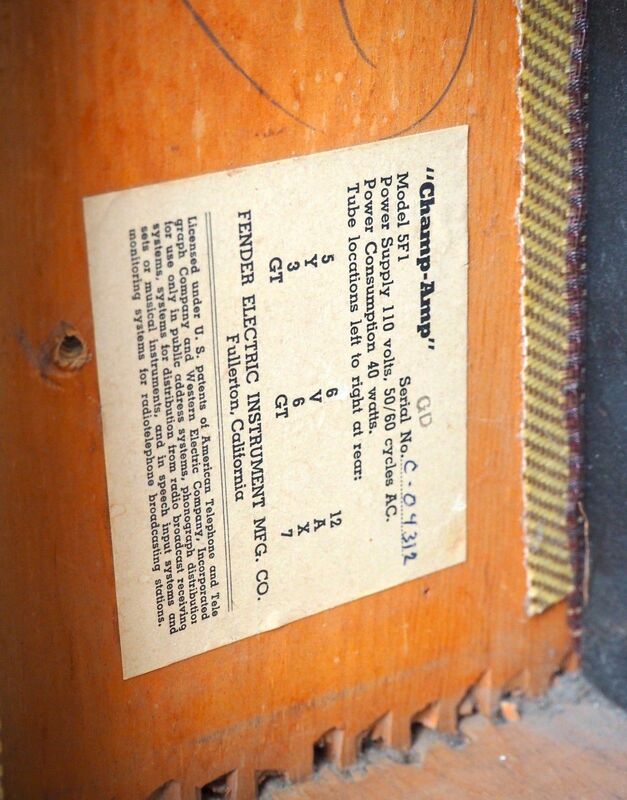 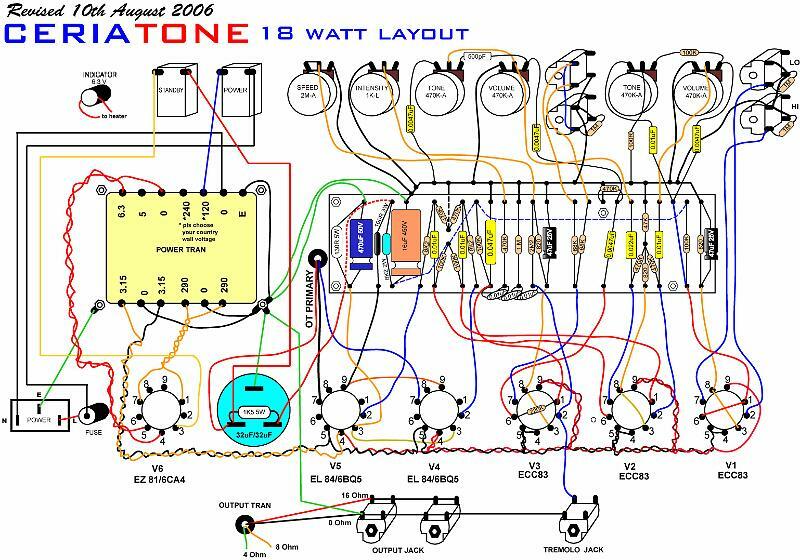 It was rated at about 3 watts, featuring a “T.V. 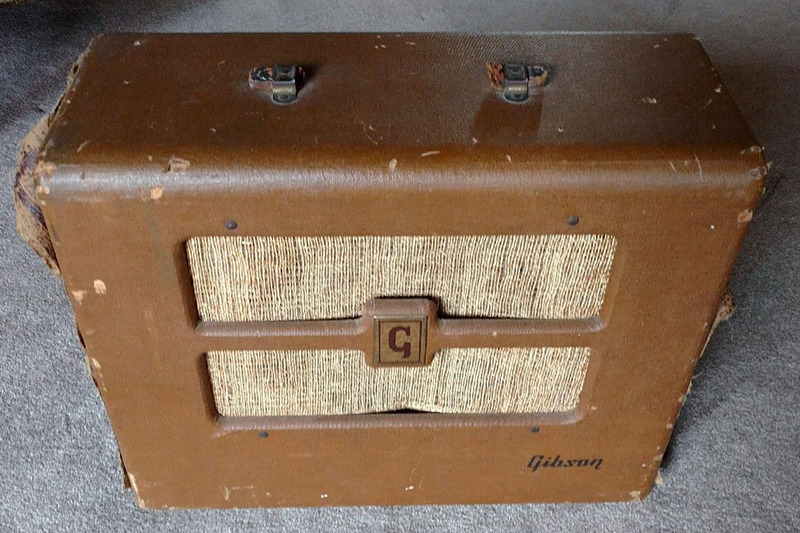 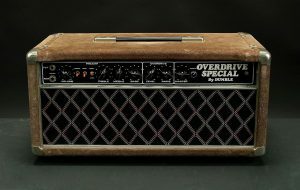 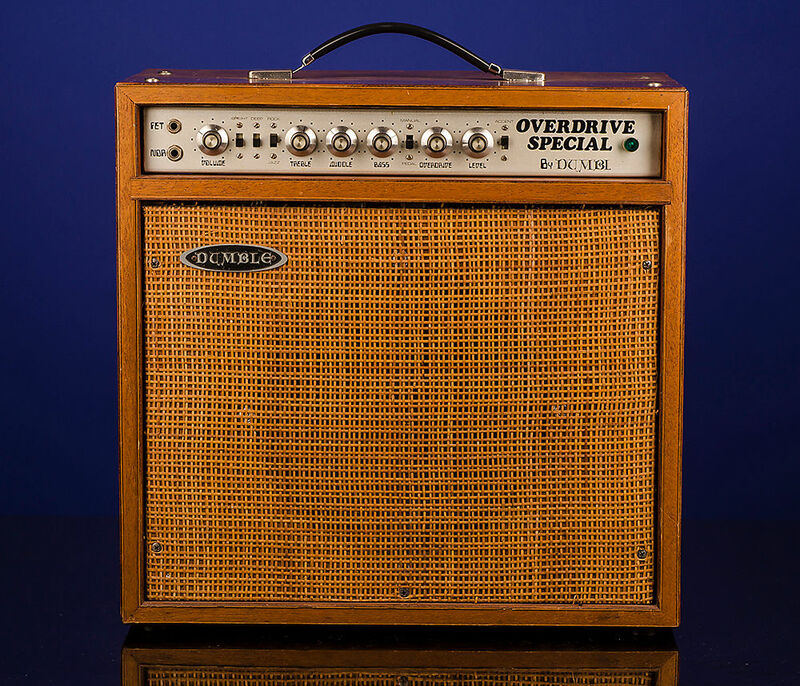 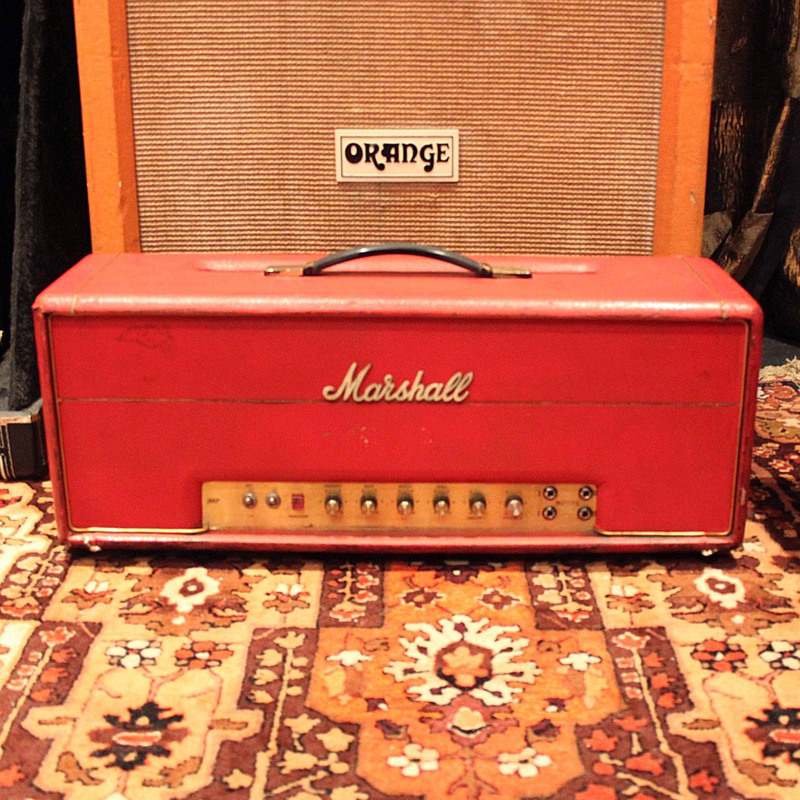 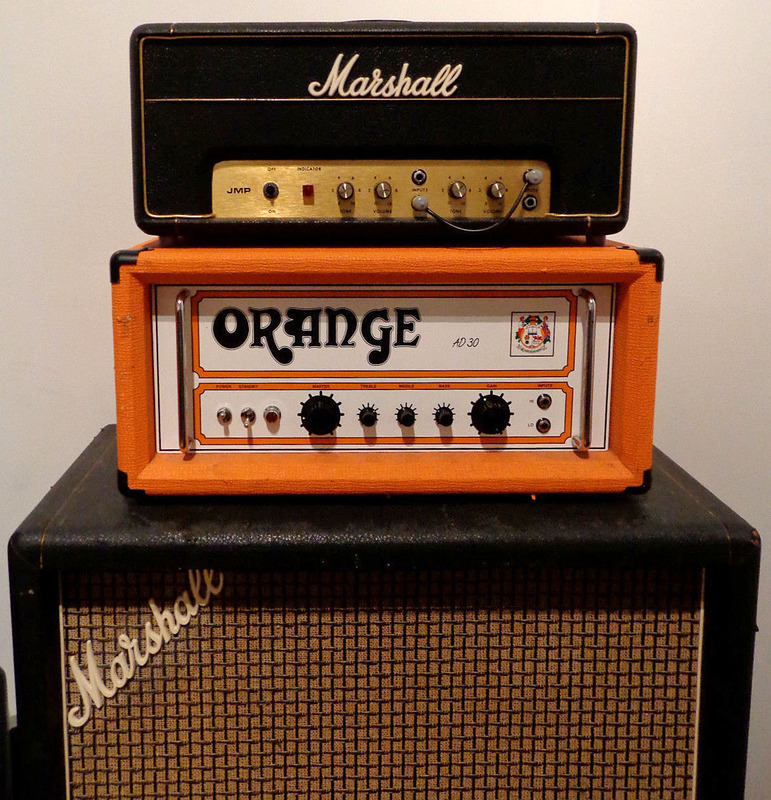 Front” style cabinet; the 800 was covered in greenish fabric while the 600 featured two-tone blonde and brown vinyl covering. 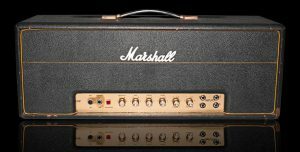 Aside from the Frantics, some of whose tunes you can find on YouTube, Kim also played with the Malibus, It & The Things and the Mag Rims. 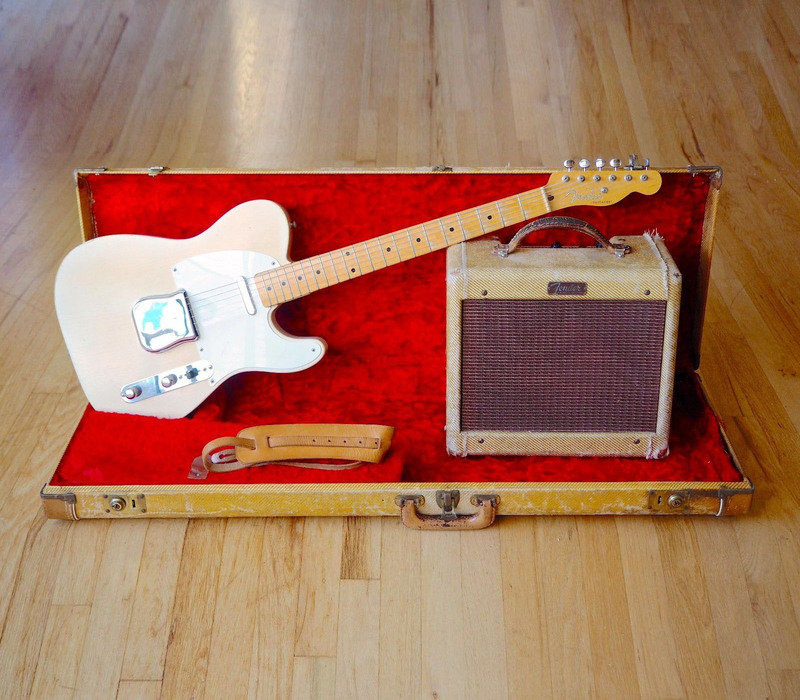 Before passing away in his home in Hawaii in 2013 Kim had become a well loved part of Montana’s musical history. 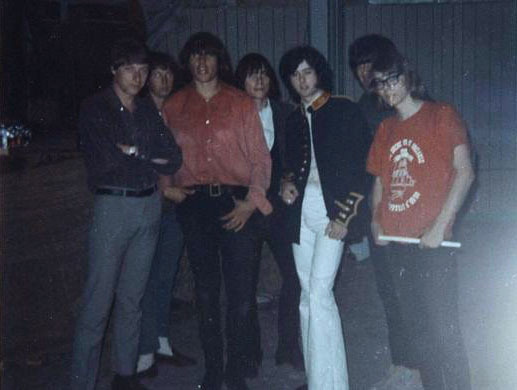 Kim and other members of the Frantics are pictured above with members of the Yardbirds. 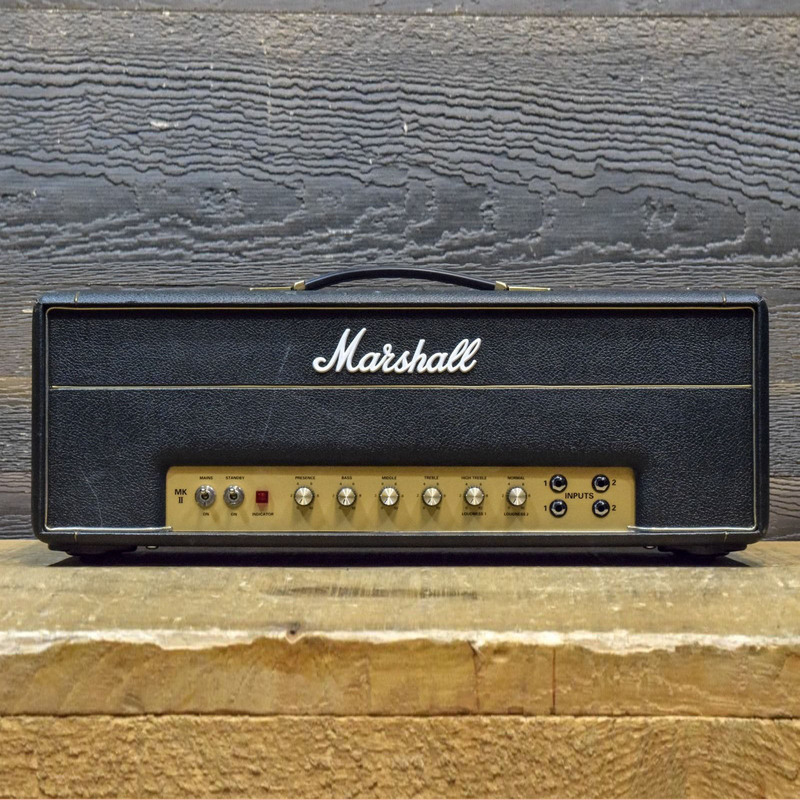 From left to right, Chris Dreja, Don Mock, Jack Mills, Gary Eidet, Jimmy Page, Max Byfuglin and Kim Sherman. 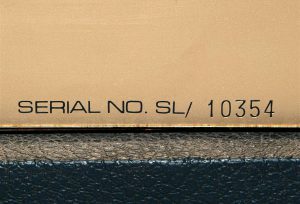 Photo Credit Dave Martens, Fairgrounds, Great Falls, Montana Aug. 14, 1966. 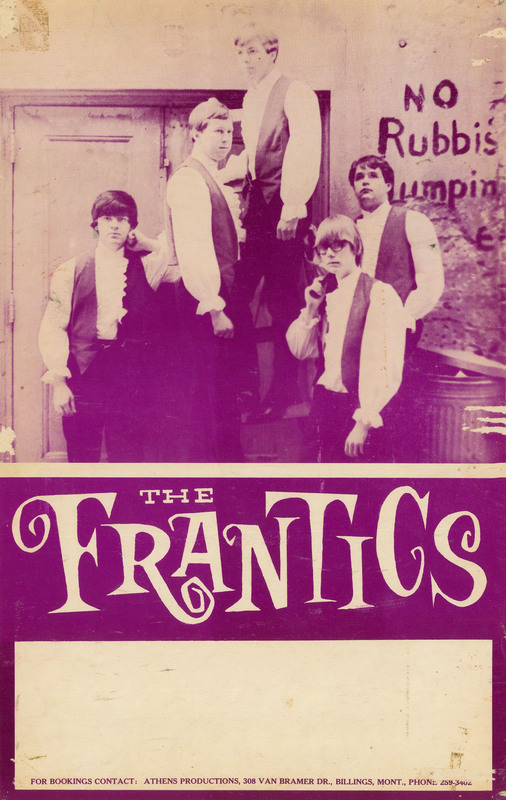 An early promo poster for the Frantics from Billings, Montana, Kim Sherman pictured 2nd from the right. 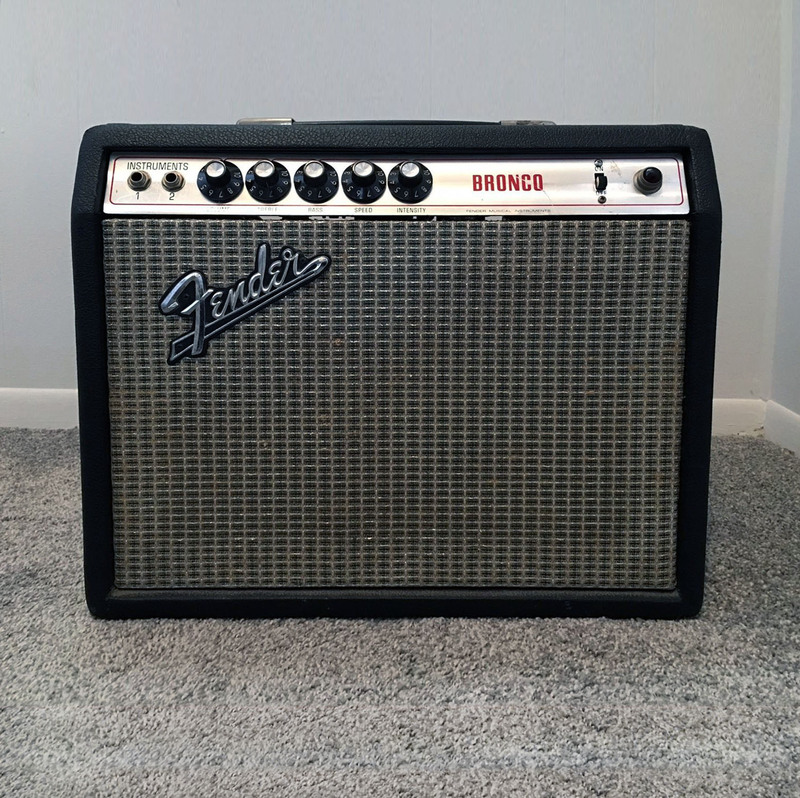 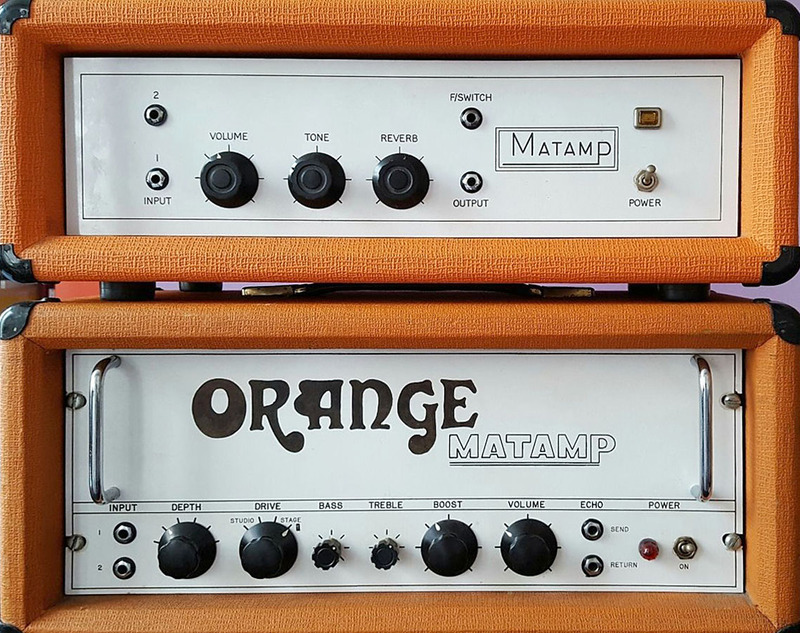 For more of the Frantic’s history head on over to Lost Sounds Montana.